Travel by rental car and enjoy the freedom to stop and go whenever you want. Explore all the beautiful places in Costa Rica. We got corporate rates due to the volume we offer here and we pass the savings along to our clients. 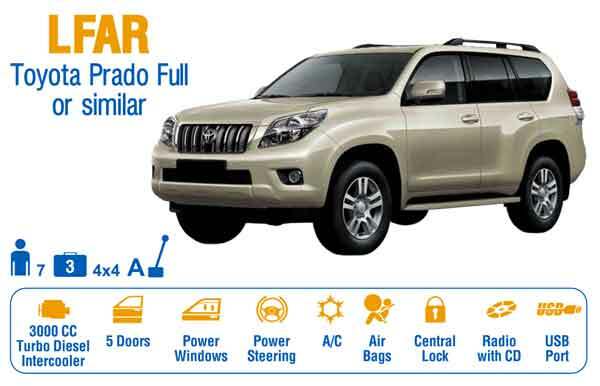 Select from economy cars to economic 4x4 until a Toyota Prado 4×4. All the rates below already include taxes and basic insurance. The final price will always be what you pay, no hidden charges. Usually it is advisable to combine your travel plans with tours and driving on your own. Please send us an E- Mail and we will send you some ideas on how to combine a tour with your own traveling by car. 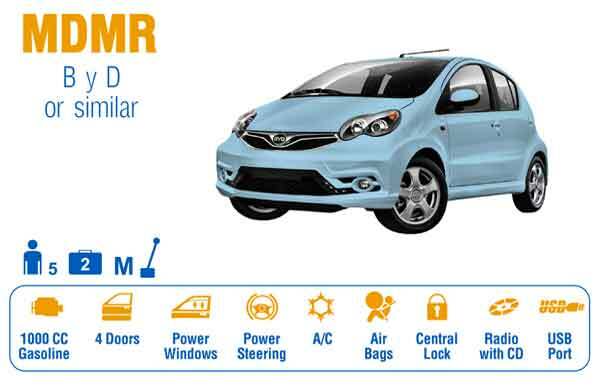 ByD- a city mobile: only recommended for guests, who will stay near the bigger cities or have booked an accessible Hotel and want to be mobile, while staying in the Hotel. Not for adventurers, from 27 US$ daily, including basic insurance and taxes. 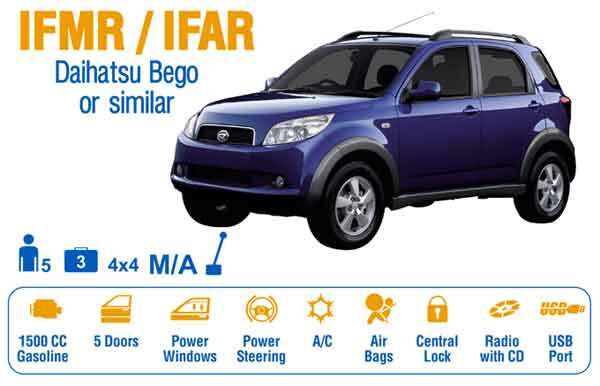 Daihatsu Bego- the classic rent a car: costs from 43US$ daily and 260US$ weekly incl. basic insurance and taxes. 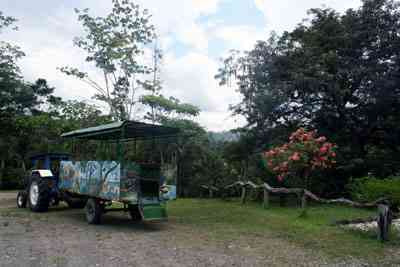 The Bego is a 4x4 and very useful on Costa Rican streets. 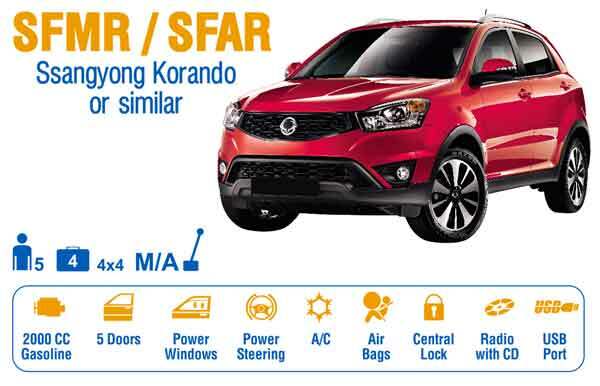 Ssangyong Korando, available as 4*4 and 4*2. A large car at low costs: from 48US$ daily or 288US$ the week it is very economic and suitable for small groups. 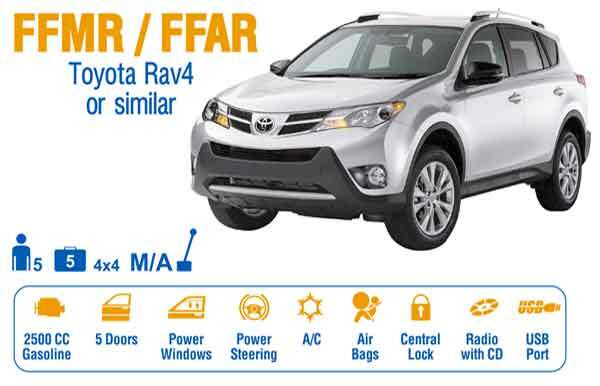 Toyota RAV4, a 4*4 rental, which is fine for most of the roads you will drive on in Costa Rica, Good and reliable car. 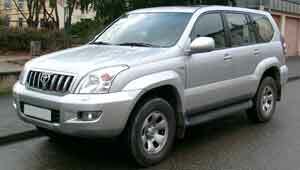 Toyota Prado Full, one of the best Offroad Cars you can get, the Original. A very heavy car in any terrain, but it is not cheap: From 98US$ daily. Of course, there are more types of cars. For example the Mitsubushi Montero, which is a great car as well. Or if you need a small bus for 12 people, just get in touch with us.